BKS Group is a single-source distribution provider that delivers ground freight solutions covering all facets of the shipping and distribution process. We create value for clients by providing full transportation and network optimization management services. Combining these resources with logistics expertise and experience to provide efficient fleet services drives measurable results to your bottom line. Over the years, BKS Group have managed to develop a smart network of reliable fleet elements, dependable free agents, and flawless safety and business record that translate to competitive rates, faster delivery times, and an outstanding client follow up procedure. 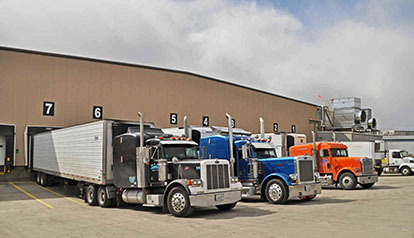 We offer shipments in a multitude of geographies and load types. We can keep your truck loaded and your fleet moving. Our team focuses on relationship-driven business over the long term. Many of our current carriers have been with us since day one. Our objective is to provide shippers with the right ground freight solutions to meet their diverse supply chain requirements. You will benefit from the flexibility of our network as we take care of each and every one of your needs.